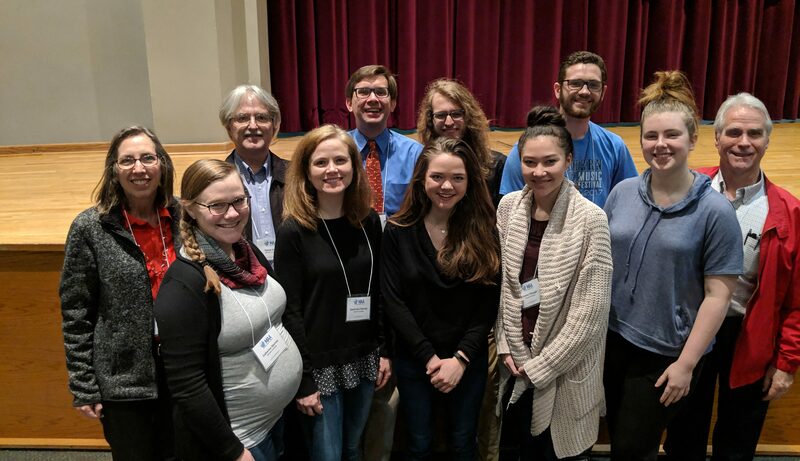 Students and faculty members of the Mathematics and Computer Science Department presented at the Mathematical Association of America (MAA) Southeastern Section’s annual meeting at Lee University March 7-9. Belmont’s Math Jeopardy Team was composed of mathematics and computer science students Caroline Conner, Christopher Guardo, Davis Deaton and Jordan Hoffman. The team won the first preliminary round and the wild card spot from the second preliminary round, winning second place overall in the Jeopardy tournament. Hoffman presented “Predicting Lung Cancer Death Rates by Country through Demographic Variables,” a presentation based on work conducted in Dr. Danny Biles’ class. Deaton received the Patterson prize for undergraduate research presentation in his section for his presentation “Unstacking Tortoise Shells with Math: Factoring Multivariate Polynomials in the Tropical Semiring.” The presentation was based on research conducted with Jordan Sawdy, co-author and mathematics student and Dr. Brad Schleben. Mathematics faculty members Drs. Danny Biles, Sarah Ann Fleming, Ryan Fox, Robin Lovgren, Mike Pinter and Catherine Starnes also attended the conference.